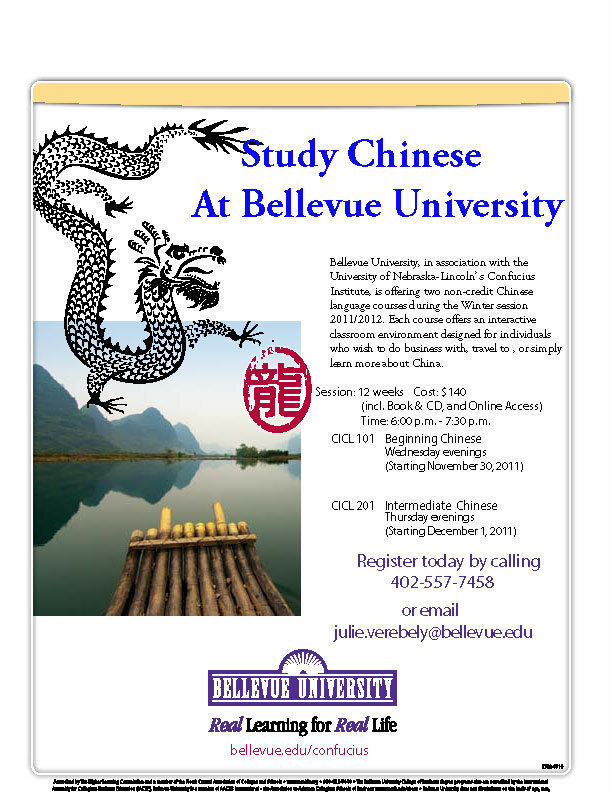 Bellevue University is offering two non-credit Chinese language courses during the Winter 2012 for twelve weeks. Each course offers an interactive classroom environment designed for individuals who wish to do business with, travel to, or simply learn more about China. Get an enrollment form here. 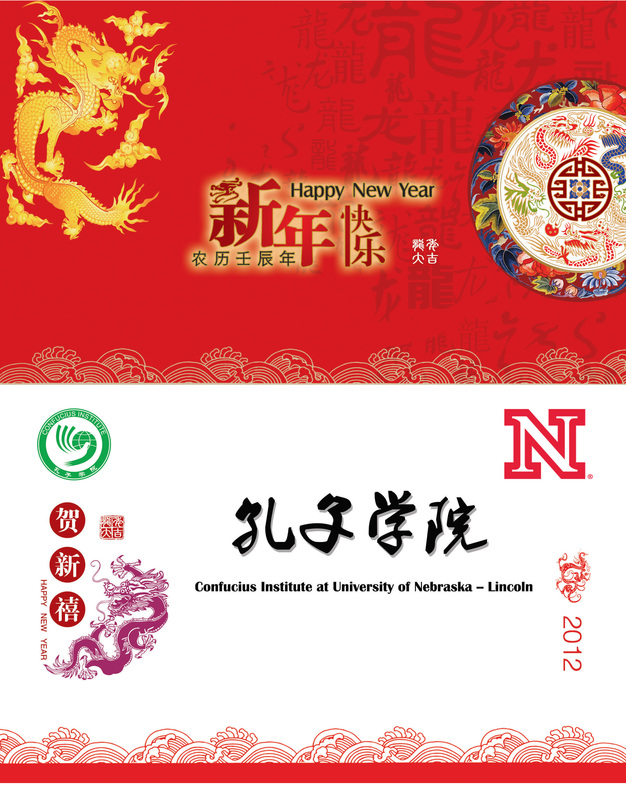 For the 2012-2013 academic year the Confucius Institute in association with the University of Nebraska–Lincoln, is offering non-credit courses in Chinese Language, Culture and Music. Every course is designed to challenge students in a fun and interactive classroom environment and encourage participation from both individuals and families. Classes are offered in both the Lincoln and Omaha metro areas and begin in August. Register today for non-credit Chinese Language, Culture and Music classes! Join us for the second class in the Chinese Cooking Class Series: Stir Fry Dishes. It will be held November 26, 2012, from 5:30 -- 7:00 pm in Room 206 in Leverton Hall on UNL East Campus. Join U.S. 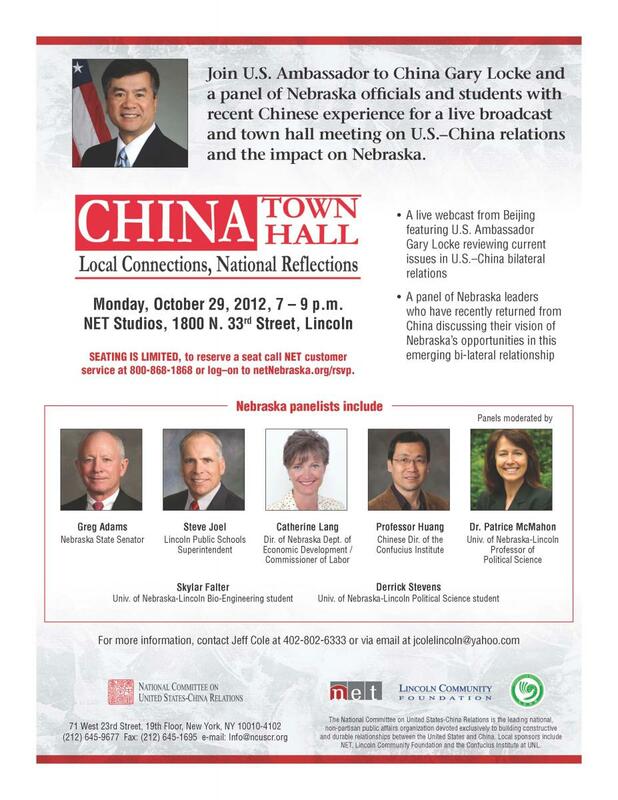 Ambassador to China Gary Locke and a panel of Nebraska officials and students with recent Chinese experience for a live broadcast and town hall meeting on U.S.–China relations and the impact on Nebraska. 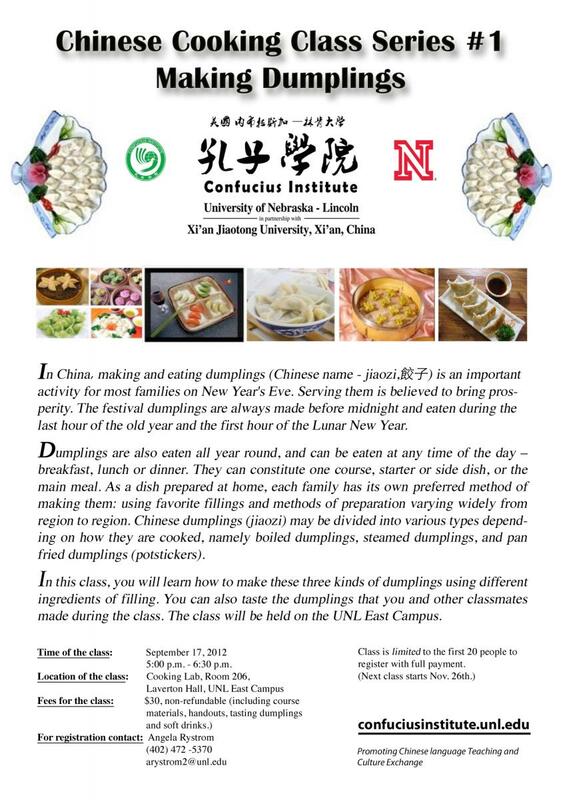 See the flyer from the Dumplings Cooking Classes held in September and October. UNL Wind Ensemble Concert Featuring Chen Yi's "Suite from China West"
The UNL Wind Ensemble will be featuring Chen Yi's "Suite from China West" in concert Wednesday, October 3 at 7:30 p.m. in Kimball Hall. Tickets: General admission $5, student/senior $3, available at the door approx. one hour before the performance. See the flyer here. Revised Deadline Date for Registration is FRIDAY at NOON, SEPTEMBER 21, 2012! 3) Persons born in China Mainland, Hong Kong, Macao or Taiwan are not eligible to participate except children adopted by non‐native Chinese speaking American families. Registration is from August 20 – September 15, 2012. Registration can be done electronically (click here for a registration form) or by mail at address listed below. Contestants can contact Angela at the Confucius Institute if help is needed. Each contestant will present a 3‐5 minutes prepared speech in Chinese followed by answering 2 questions from the judges. Each contestant can choose one of the following topics for his/her speech. Scores will be given after each contestant finishes his/her speech by 5 judges who are Chinese language instructors and/or native Chinese speakers. Contestants will be judged on the following categories: Voice (loudness/clarity), grammar (accuracy), fluency (no hesitations and pauses/speed), vocabulary (richness/appropriateness), and presentation (manner/attitude/connect to audience). Additionally, all winners will be awarded one coupon for a free HSK or YCT exam held this fall or next spring. Dr. Charles Braithwaite of the University of Nebraska has generously supplied the Confucius Institute with two handouts to help students prepare for public speaking. Anyone interested in this fall's Speech Competition is encouraged to review this information. His handouts can be found here and here. The Confucius Institute at UNL (UNLCI) will send 11 Nebraska high school students, led by two chaperones for a summer camp in China, from July 15 to July 29. Participants will spend two weeks learning about Chinese language and culture through paper-cutting, calligraphy, brush painting, a tea ceremony, and martial arts. They will also participate in various sports and cultural activities like friendly basketball games, international student get-together, and experiences with Chinese host families. Finally the students and chaperones will visit some of China's famous historic points and sites of natural beauty in two ancient cities, Beijing and Xi’an. This summer, the campers come from several high schools in Scottsbluff, North Platte, and Omaha. The "Chinese Bridge Summer Camp for American High School Students" is sponsored by Hanban/Confucius Institute Headquarters in cooperation with various Confucius Institutes in the U.S. This bridge program is set up for American high school students to experience Chinese language and culture in the summer. Students and teachers are responsible for the costs of round-trip air tickets and international travel insurance. Hanban/Confucius Institute Headquarters will assume all the costs for accommodations, local transportation, and all group activities and sightseeing for students and group teachers during their stay in China. On February 10-11, 2012, all Chinese teachers from the Confucius Institute at the University of Nebraska-Lincoln (UNL) attended Chinese Teacher Training given by the Nebraska Department of Education. Among them, five teachers offer Chinese classes in the Lincoln Public Schools district, working in elementary, middle, and high schools. Two teachers offer classes at UNL with an additional two teachers in Beatrice Public Schools. Scottsbluff, North Platte, and Omaha school districts each have one teacher offering Chinese classes. Training presenters included Vickie Scow, Director of World Language Education; Patricia Randolph, world language staff developer; and Xu Hui, Teaching Assistant from the Department of Teaching, Learning and Teacher Education of UNL. The training contained a total of six sessions. Three sessions were on LinguaFolio: developing successful learners, becoming a LinguaFolio expert, and implementing the LinguaFolio components. The remaining three sessions focused on working with parents and on cultural mirrors—looking at the American and Chinese cultures. The final session was a question/answer and sharing. Teachers were provided with resources and information on learner’s self-assessment, goal setting and evaluation. They were also given helpful websites on LinguaFolio. This training helped Chinese teachers get a deeper understanding of LinguaFolio and its application to teaching and learning. It was also a great opportunity for all teachers to exchange ideas on how to teach Chinese effectively in the United States. The next training will be in April. The Confucius Institute is proud to present Artist-in-Residence Luan Li on April 12, 2012, at Kimball Recital Hall. 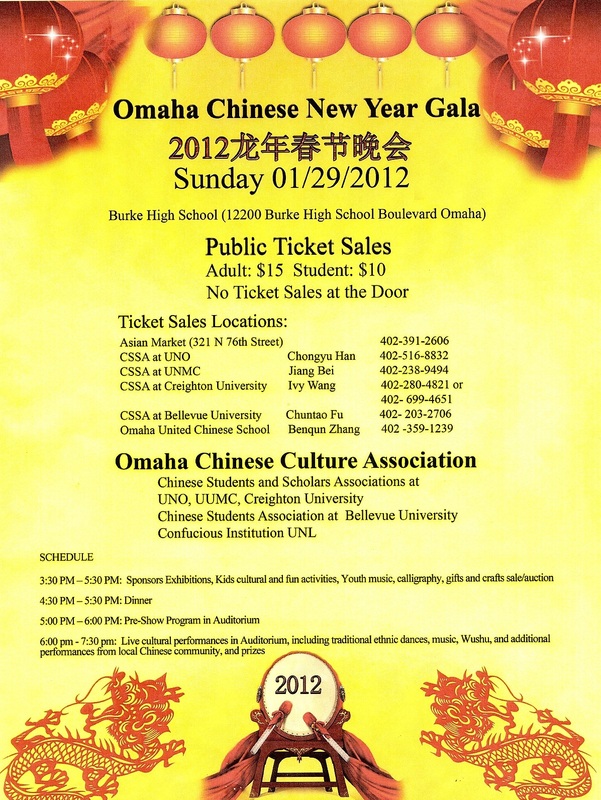 The concert will begin at 7:30 pm and feature a medley of traditional Chinese and English music. The concert will showcase Luan's phenomenal singing and piano skills. She will be joined by special musical guests, pianist Denis Plutalov and tenor Kevin Hanrahan. Everyone is invited to attend this free concert and hear the beautiful music. The UNL Confucius Institute is offering a free, two-day lunch hour workshop designed to help individuals interact with Chinese students and scholars. The workshop, noon to 1 p.m., Feb. 27 and 29 in the Nebraska Union Colonial Room, will be led by Pingan Huang, associate professor and associate director of the UNL Confucius Institute. 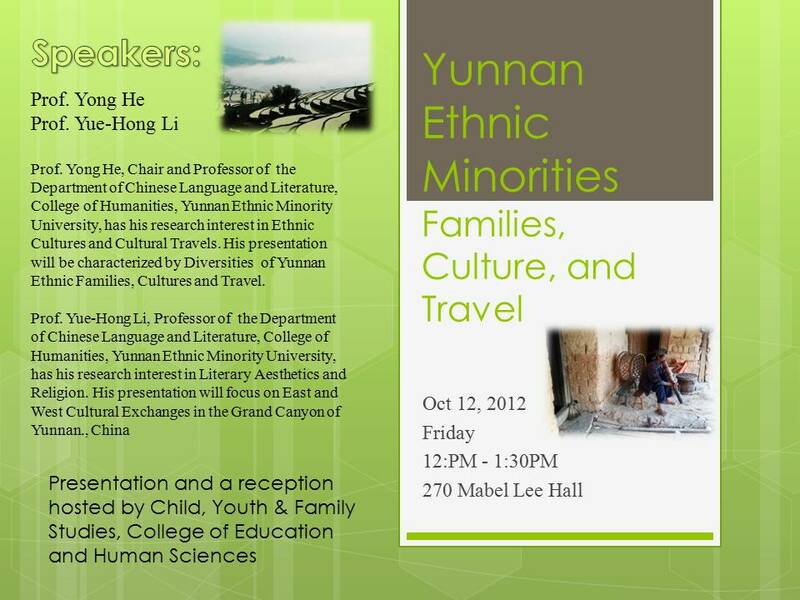 Huang will discuss methods to overcome language and cultural barriers. He will also review 20 common Chinese phrases/sentences used for greetings, introductions, expressing thanks and apologies, and saying goodbye. The workshop is free and open to all faculty, staff and students. Space is limited to 50 seats. To reserve your seat, contact Angela Rystrom at 402-472-5370 or cschwartz4@unl.edu. 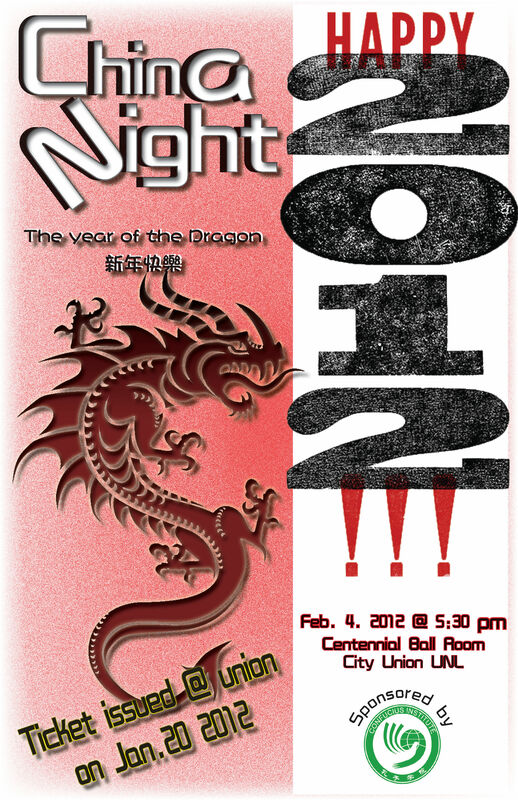 The LCCA Board has planned the first LCCA event for 2012, the Lantern Festival Lunch Party. The party will be held on February 11 (Saturday) from 12:00 to 3:30 pm at the Teppanyaki Grill & Sushi. The restaurant will prepare authentic Chinese food for this party. We will have prize drawings, performances and a lantern riddle guessing game. The cost is $10 per person while children 4 years and under are free. Teppanyaki Grill & Sushi is localed at 5130 North 27th Street (68521). Please sign up for this event by sending an email to LCCA@live.com. We will be collecting the 2012 LCCA membership fees at the event. If you paid your membership fee in November or later last year, it will be counted as 2012 membership. Those who have paid 2012 membership fees will be entered in the prize drawings. 2012 is LCCA's election year for new President. So far we have three candidates. We have set up a voting system online for members to vote. Please visit our website www.thelcca.com and vote for the new LCCA President. The new President will be announced at the event. 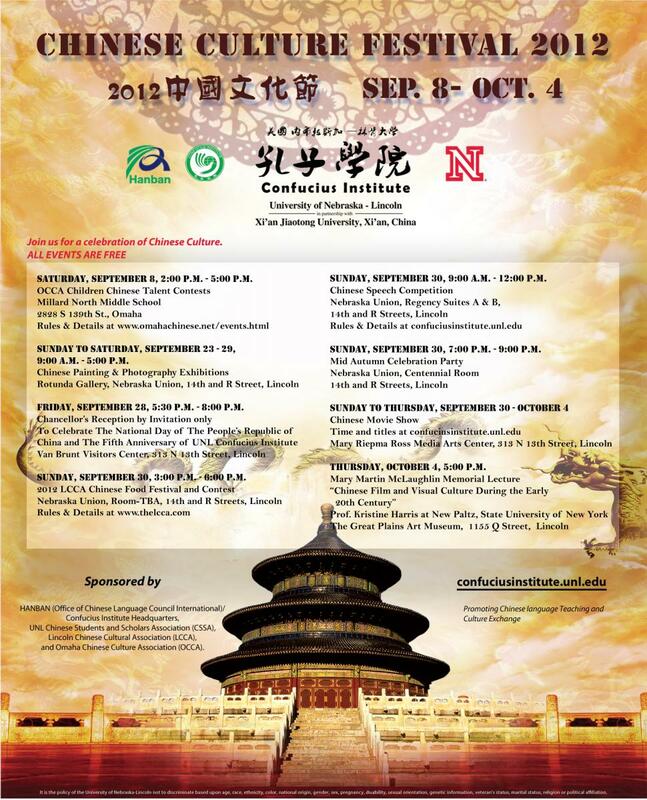 The Lantern Festival Lunch Party is sponsored by the Confucius Institute at UNL. UNLCI's continuing strong support is gratefully appreciated. We look forward to seeing you and your family at the event!